Are you pondering as to how to undertake your higher education in UK at free of cost? If yes, then go through the entire article to gain detailed cognizance on the large number of UK scholarships provide by the British Government and its universities for foreign students. 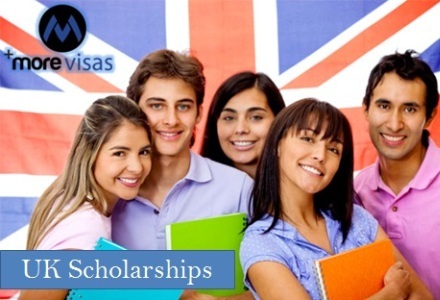 In general United Kingdom scholarships are granted to students who undertake full-time or part-time studies in its renowned universities at various levels like postgraduate, graduate or undergraduate. If you are one amongst many who is looking forward to United Kingdom funding options for Ph.D., master’s and doctorate programs then make sure to go through this page and get yourself updated about recent available bursaries. Chevening Scholarships: It is a well-known government’s global scholarship programme of the country, where great grants are provided for international scholars with leadership potentials. This special UK scholarship program covers living allowances, tuition fees and other essential expenditures. Commonwealth Scholarships: These are applicable for students from developing Commonwealth nations who desire to undertake their Maters or PhD in this modern nation. These bursaries are funded by the country’s department for international development (DFID). International students who come across these sorts of scholarships can enjoy free tuition fees, personal maintenance allowances and examination fees. Gates Cambridge Scholarships: These well-known and costly scholarships are open to all foreign students who pursue their higher education in any of the courses available at the university. It covers all maintenance allowances, university fees and dependent allowance. Cardiff University Elite International Scholarships: These special scholarships are awarded for bright and talented students at both graduate and undergraduate levels. It covers full tuition fees for the duration of the course. Queen Mary, London – Unite Foundation Scholarship: It is applicable for students from the lowet household income who does not currently reside within the M25. This special scholarship covers free accommodation and an annual allowance of £4,000 for accommodation. Apart from the above mentioned grants there are many other funding options such as University of Birmingham Scholarships, ISH-London Met Scholarship Scheme, University of West England Global Student Scholarships, Bristol University International Office Scholarships and many others.